Novices and Pro's all over the world find something interesting in any one of the charts. Tightlines Charts also can be found in the New (I.G.F.A.) International Game Fish Association Museum and Library in Dania Beach, Florida. 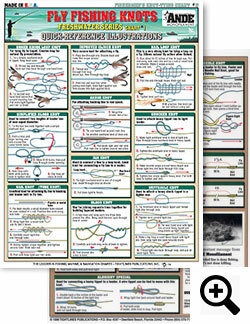 All charts are 3mm Laminated to ensure 100% percent Waterproofing, and can be rolled up to fit into any tackle box. Tightlines Publications is proud to announce that they are the Leader in Fishing, Marine, Hunting, and Navigation Charts. 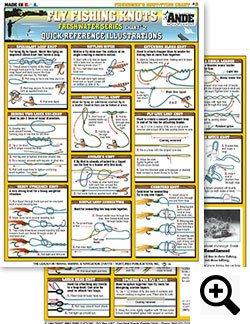 From Bait Rigging to Rules of the Road you can't go wrong with a Tightlines Charts at your helm. How To Catch "EM" Saltwater Chart #1- Barracuda, Permit, Tarpon, Snook, Cobia, Pompano, Cubera Snapper, Jewfish, Yellowtail Snapper, Bonefish, Kingfish, Mutton Snapper, Blue Marlin, White -Marlin, Wahoo, Yellowfin Tuna, Warsaw Grouper, Nassau Grouper, Mako Shark, Swordfish, Trippletail, Dolphin, Sailfish. How to Catch "EM" Saltwater Chart #2- Black Sea Bass, Striped Bass, Bluefish, Codfish, Pollack, Fluke, Flounder, Porgy, Haddock, Weakfish, Mackeral, Red Drum, Blue Marlin, Skipjack, Bluefin Tuna, Albacore, Yellowfin Tuna, Blue Shark, Great White Shark, Bonito, Hammerhead -Shark, White Marlin, Big Eye Tuna.